Vogelbach went 1-for-3 with a solo home run and two walks in a win over the Angels on Saturday. Vogelbach slugged the second of two first-inning homers off Trevor Cahill, following MItch Haniger's game-opening solo shot. The 26-year-old has now homered in back-to-back games for the second time this season and also continues showing excellent plate discipline, drawing multiple free passes in three straight. Vogelbach went 1-for-3 with a two-run homer and two walks in a win over the Angels on Friday. Vogelbach appeared to slow down briefly over a three-game period earlier in the week, but he's right back to wielding a red-hot bat. Friday, the slugger broke a modest five-game long-ball drought and also drove in his first runs since April 11. 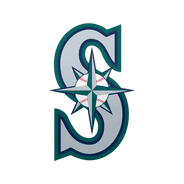 Factoring in Friday's performance, Vogelbach is hitting .354 through his first 63 plate appearances, and the pair of free passes he drew Friday pushed his walk rate to a hefty 20.6 percent. Vogelbach went 2-for-2 with three walks and two runs in a win over the Angels on Thursday. Teammates Ryon Healy and Omar Narvaez took care of the headline-grabbing hits with three homers between them, while Vogelbach played the unlikely role of table setter. The burly slugger had been mired in a modest 0-for-10 slump over the prior three games entering Thursday, but he snapped out of it with excellent plate discipline. 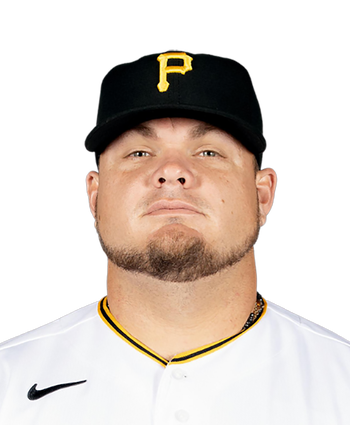 With his second three-walk day of the season Thursday, Vogelbach's walk rate sits at a career-high 19.0 percent through 58 plate appearances, a figure that will certainly do wonders for his on-base percentage if it can remain somewhere in that range over the long term. Vogelbach is not in the lineup Tuesday against the Twins, Greg Johns of MLB.com reports. Vogelbach has batted his way into regular playing time, starting at designated hitter in eight of the last nine games, but will hit the bench against Indians righty Shane Bieber. Vogelbach is in a three-way timeshare with Edwin Encarnacion and Jay Bruce in the first base and DH spots. These three batters have each hit five or more homers to begin the year. Vogelbach has been impressive at the plate, posting a 1.318 OPS in 41 at-bats. The Mariners will find a way to put him in the lineup more often than not, particularly against righties.